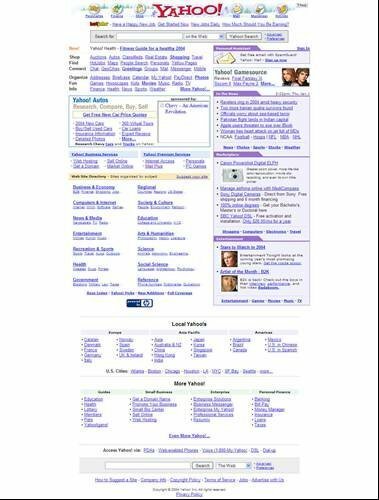 Yahoo homepage - Jan 2004 - Yahoo! The Highs! and Lows? Yahoo! The Highs! and Lows? In July 8 2004 Yahoo and Microsoft announced that MSN messenger and Yahoo messenger would become interoperable. Also, in response to google’s gmail – yahoo mail went from 4MB to 1Gbyte.